Christmas completely snuck up on me this year- it came too fast! At Thanksgiving, my family and I went to Seaside, Florida to hang out at my parent’s vacation home. It was a blast- we love hanging out in Seaside! 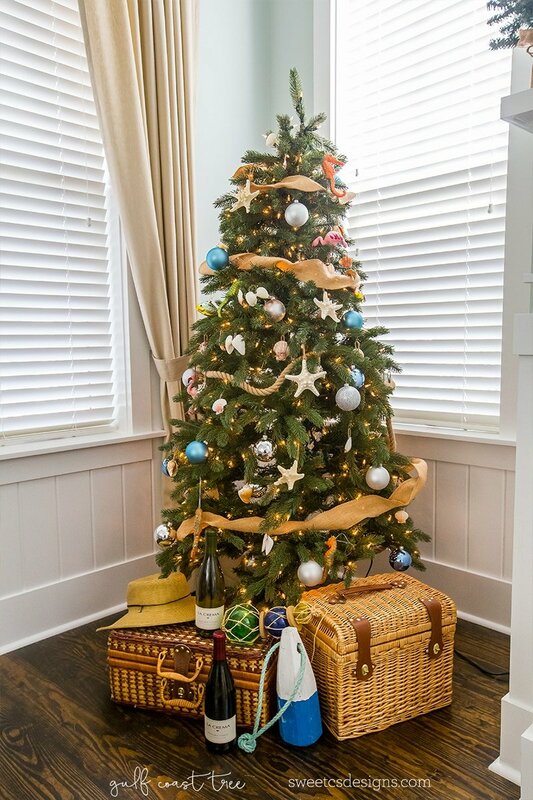 We also had fun setting up my mom’s Christmas tree in a fun beachy theme. Since this is just a vacation home, we needed to outfit the tree from scratch, without our beloved family ornaments we’ve collected over the years. 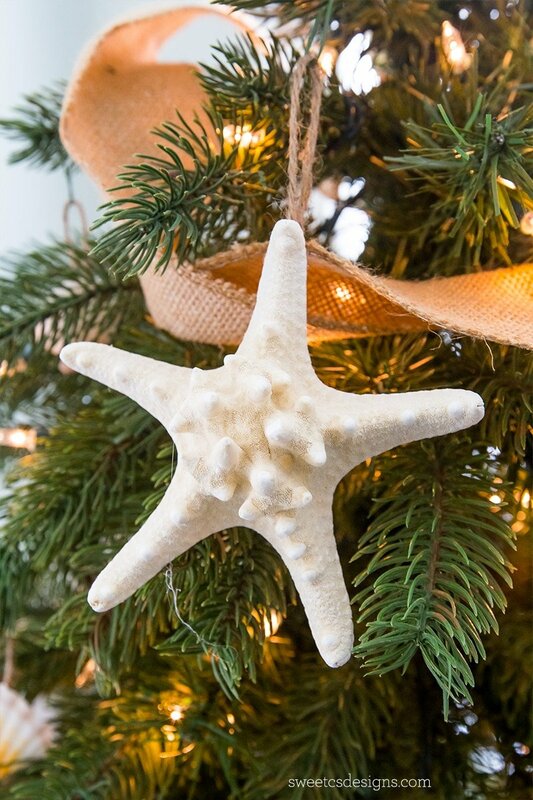 My mom really wanted to stick to a beach theme for her beach house- and I helped her get the look just right and make some adorable DIY Seashell and Starfish ornaments for a fraction of the price you can find seashell ornaments in stores! To decorate the tree, I wrapped some burlap ribbon around it, as well as some thick rope to help accent our beach-y blue and silver round ornaments. By adding simple round ornaments in a cool color palate that mimics the colors of water, we set the theme for the tree, and used up a lot of space without spending a ton- It’s always a good plan to fill up the tree with inexpensive shatter-proof ornaments, so you can splurge on some beautiful accent ornaments! 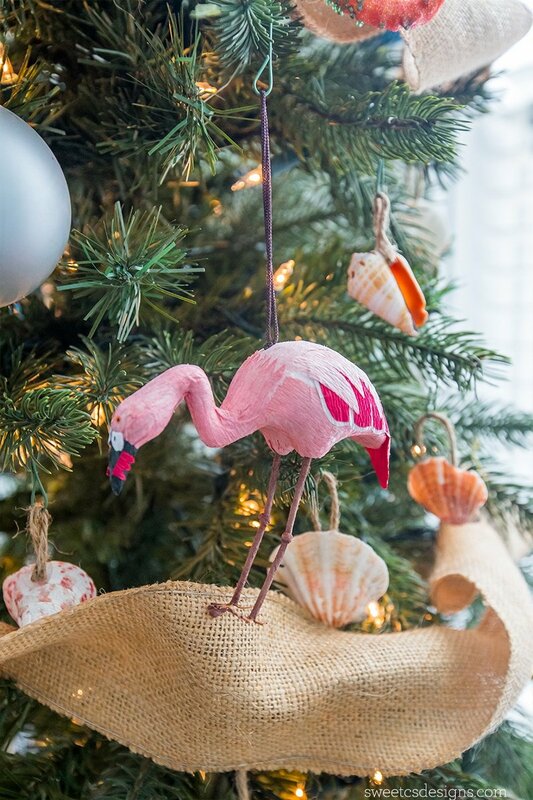 We then added fun beach-themed ornaments we found at World Market. My mom and I looked at a few different stores in her small town in the Florida panhandle, and World Market had the best selection of beach themed ornaments. 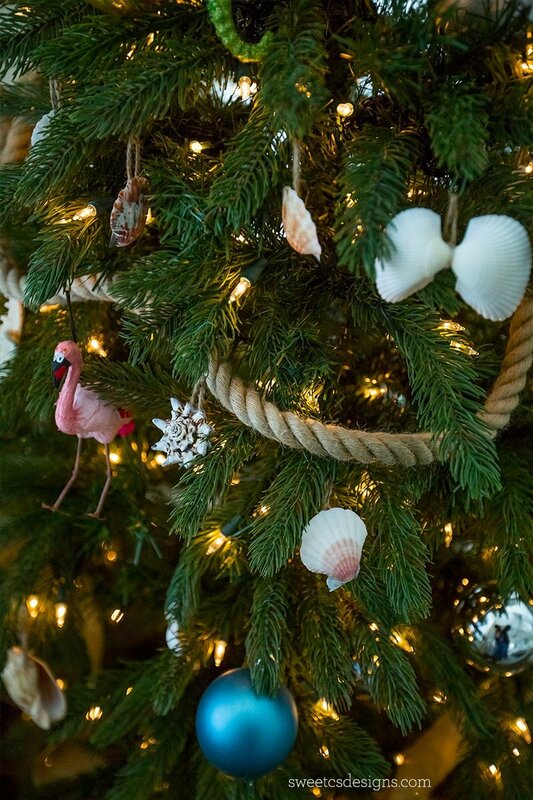 We then filled in the rest of the tree with easy DIY seashell ornaments! 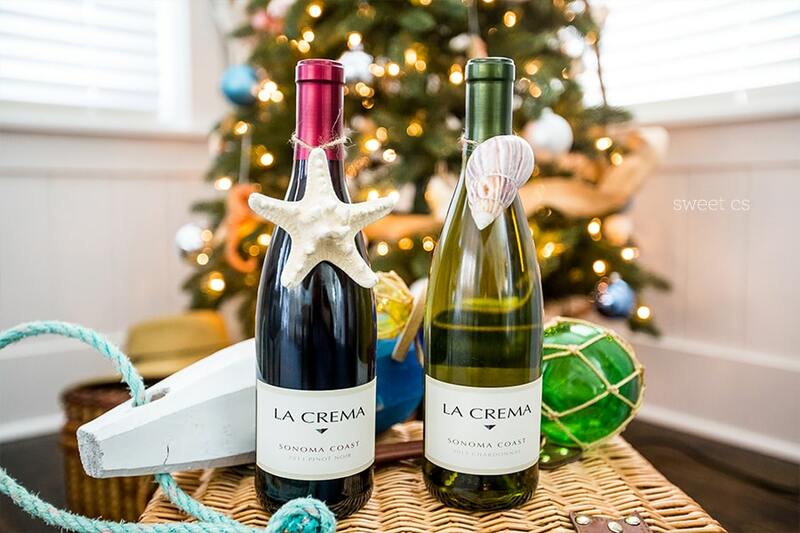 Most seashell and starfish ornaments we found were super expensive- but a package of 50 seashells or 15 starfish is under $10 at craft stores, and you can turn them into ornaments in under 5 minutes! 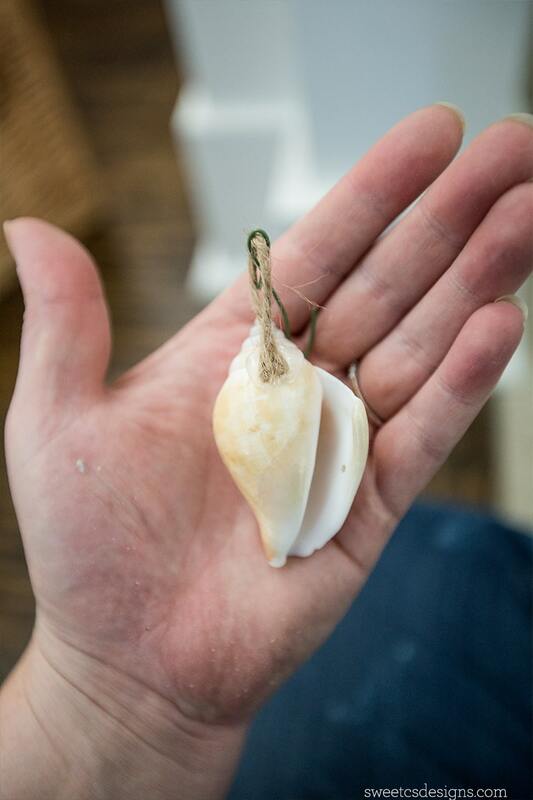 This is literally the easiest DIY ever- all you need to do is cut 1″-2″ lengths of twine, shape it into a loop, and glue it to the back of the seashell! 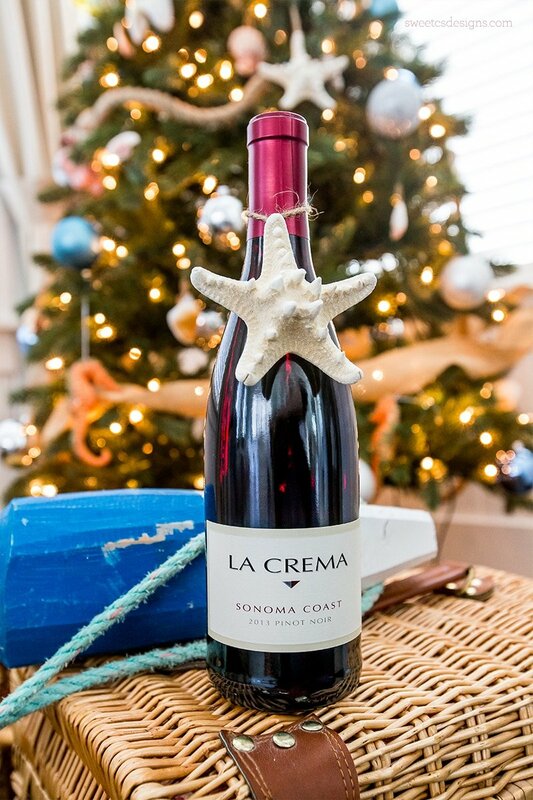 Let dry and then hang from a tree, use as a wine charm, whatever! Aren’t these so cute as a decoration for a bottle of wine? They are perfect last minute gift ideas! Very fun! I wish I had this tree this Christmas but maybe in a warm place? Tropical, perhaps! haha! 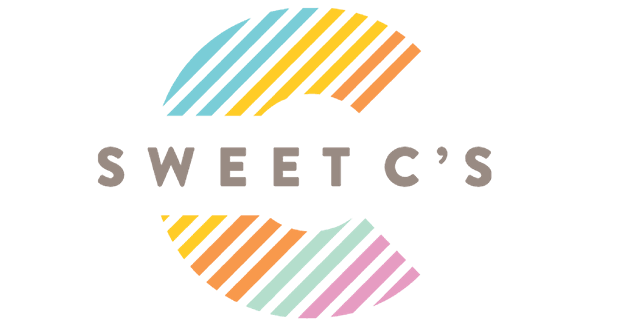 Thanks for bringing this by to our Throwback Thursday Link Party – I’ll be pinning this to our board, too, and Happy New Year!